The following is the flow of medical treatment (high-precision radiotherapy) at our clinic. Firstly, the patient will visit our clinic. Based on the medical information and imagery information we received from the referring medical institution and medical interview, we decide whether our radiotherapy is appropriate. If it is judged appropriate, you will be informed of adverse reactions to radiotherapy, the treatment schedule, and medical expenses. After fully understanding this information, you will sign an informed consent. A treatment plan for high-precision radiotherapy is formulated based on imaging diagnosis using CT and MRI scans. A fixture to maintain the patient’s position during treatment is made. Then images are taken to formulate a treatment plan. The present clinical condition is diagnosed based on the imagery to make a final confirmation of the indication. After the simulation is completed, you will have a consultation with us regarding the schedule of your next visit. We do our best to accommodate your requests regarding the appointment. However, we may have to ask for your understanding for the sake of patients coming from afar and those undergoing other therapies at other medical institutions. The following are procedures conducted only by our specialist staff during the period before your next visit for consultation. Based on the imaging diagnosis using CT and MRI images collected in the simulation, the therapy target region (tumor site) and the surrounding normal organs are visualized by a treatment planning computer. The dose distribution in the body is calculated by simulation of irradiation (angle of incidence, scope, and intensity) by the treatment-planning computer in order to determine the optimal treatment. The actual radiation dose is measured using a radiation meter to verify/confirm if the treatment plan simulated by the treatment-planning computer can be appropriately implemented. Radiation oncologists, medical physicists, radiotherapy technicians, radiotherapy nurses, and medical affairs staff participate in a conference to review the details of the treatment plan from various aspects such as radiology, treatment techniques and nursing science. Treatment will be implemented after being approved at the conference. The treatment plan approved at the conference will be registered in the treatment device. A different staff member from the one registering it confirms the content of the registration in order to always ensure data is double-checked. You should visit the clinic from the first day of treatment through the entire treatment period. The treatment period starts within two weeks of the initial consultation (simulation imaging). Preparation is completed. Now, treatment will begin. Prior to treatment, you will have a medical consultation where details of the treatment plan are explained. Treatment will begin if there are no problems with your physical condition. The same treatment is repeated every day for the scheduled number of times using high-precision devices. For the purpose of reassuring patients and their family, an accompanying family member may enter the treatment room (device operation room) upon request to observe the patient undergoing the treatment on a TV monitor. Technical explanations regarding things such as the treatment device, patient positioning for treatment, and the treatment plan will be given on this occasion. 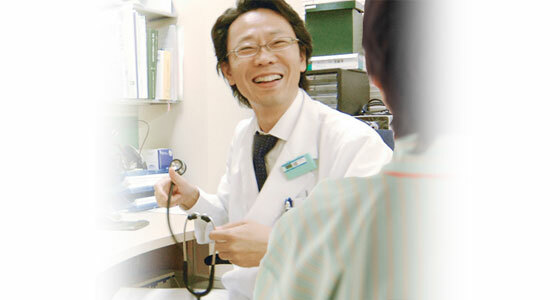 Medical consultation is given everyday during this period to ascertain if there are any physical changes. We will ask you about your physical condition upon completion of the treatment on the final day. You will have a regular medical consultation after completing the treatment to check the status of therapeutic effects and side effects.